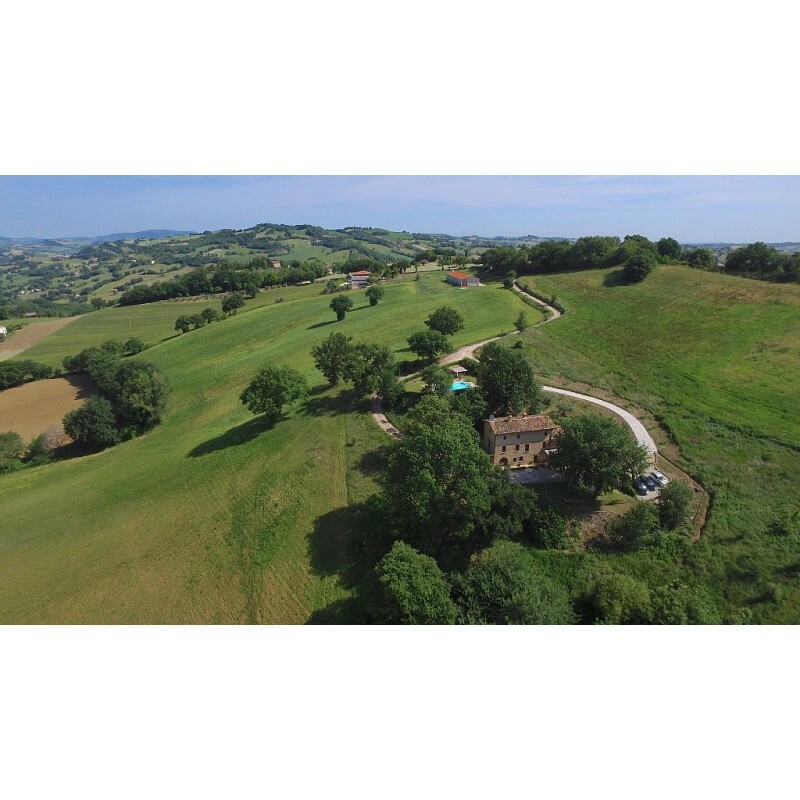 This beautiful traditional Italian Farmhouse, Casa delle Querce (The House of Oaks) is built of stone in a grove of mature oaks on a sloping hillside commanding views over the beautiful rural Le Marche countryside with a backdrop of the magnificent Sibillini Mountains. 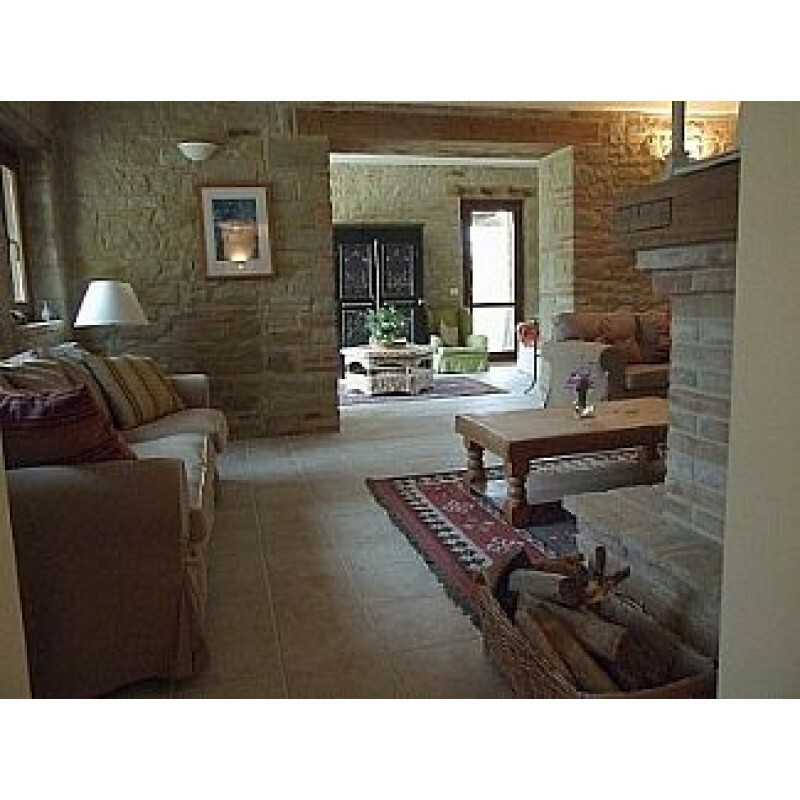 Originally a working farmhouse it has been sympathetically renovated to a high standard. 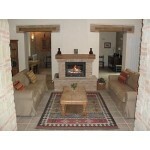 There are 6 bedrooms, 5 bathrooms 4 en-suite, the 5th bathroom shared by the remaining 2 bedrooms. 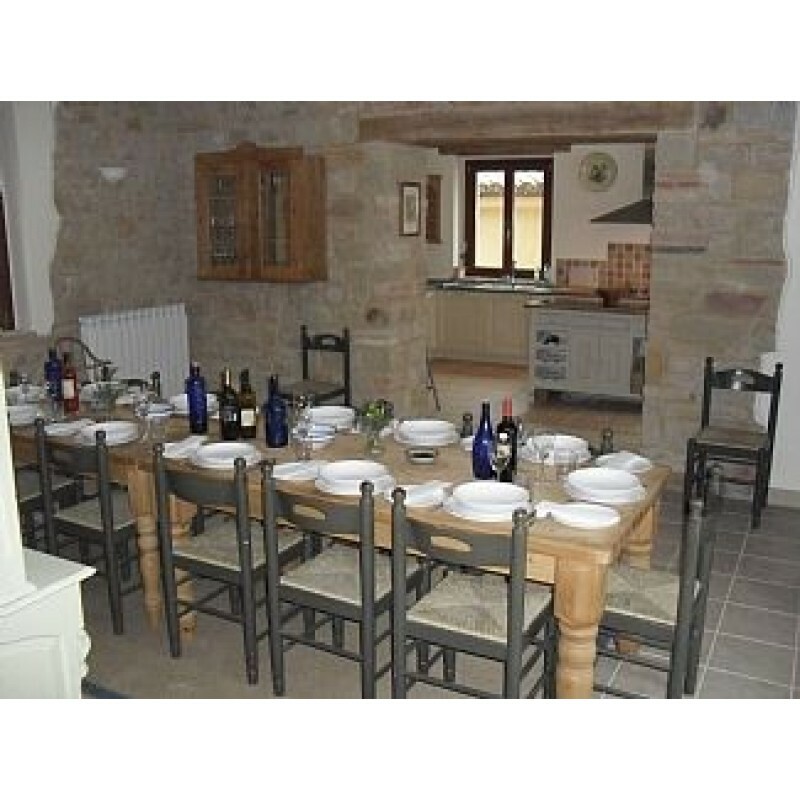 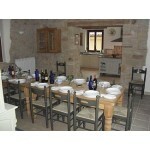 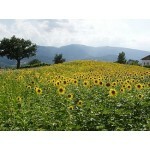 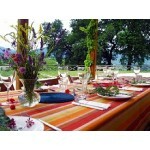 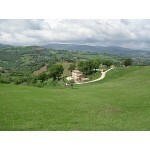 In addition there is a separate cottage with a small kitchen, bed-sitting room and bathroom suitable for the disabled. 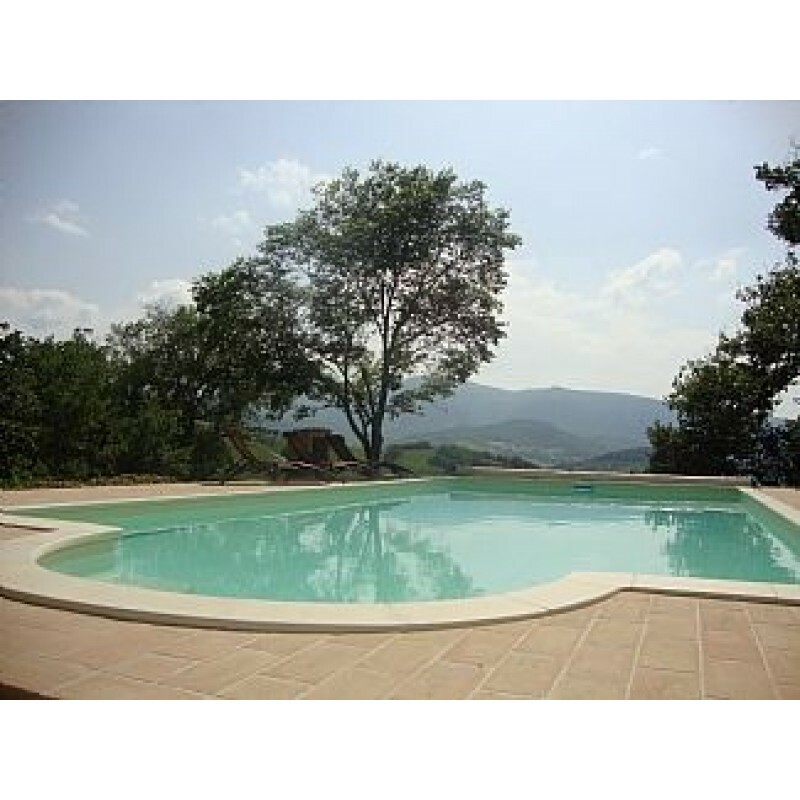 The pool with terrace has wonderful expansive views of the beautiful rural countryside and there are several terraced areas for outside living. 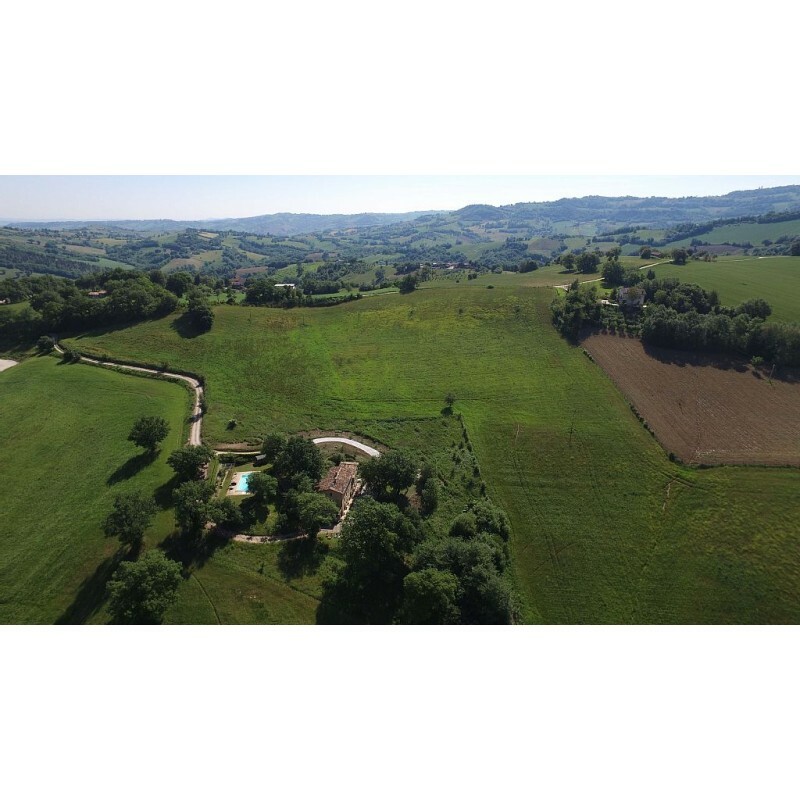 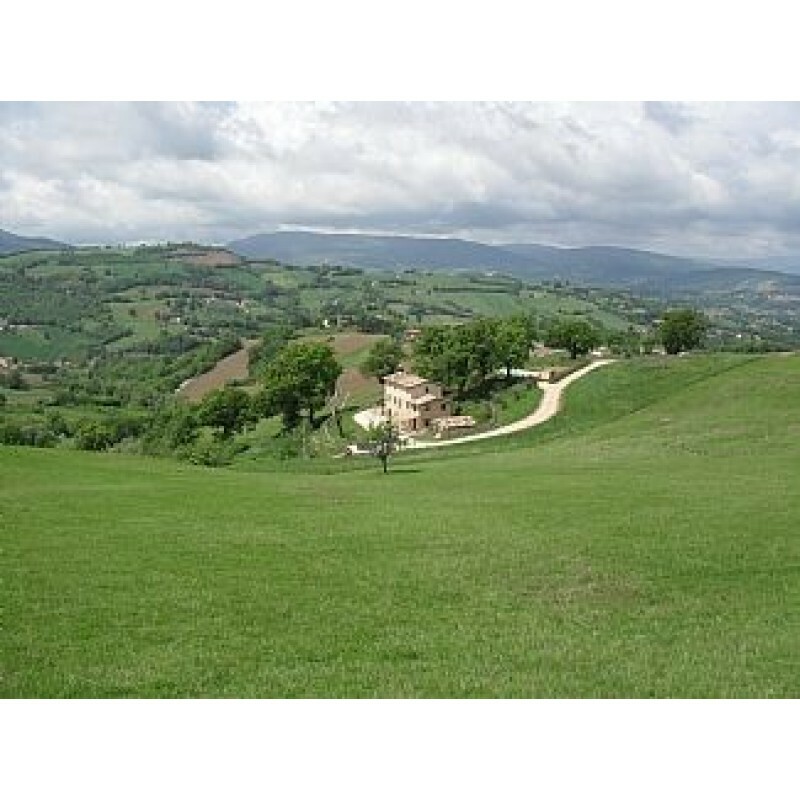 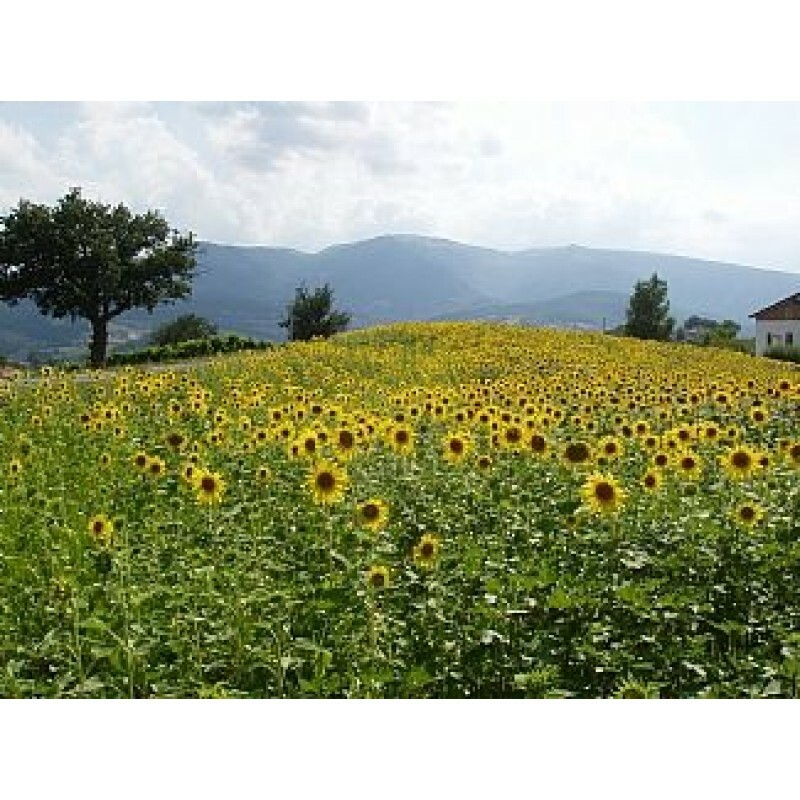 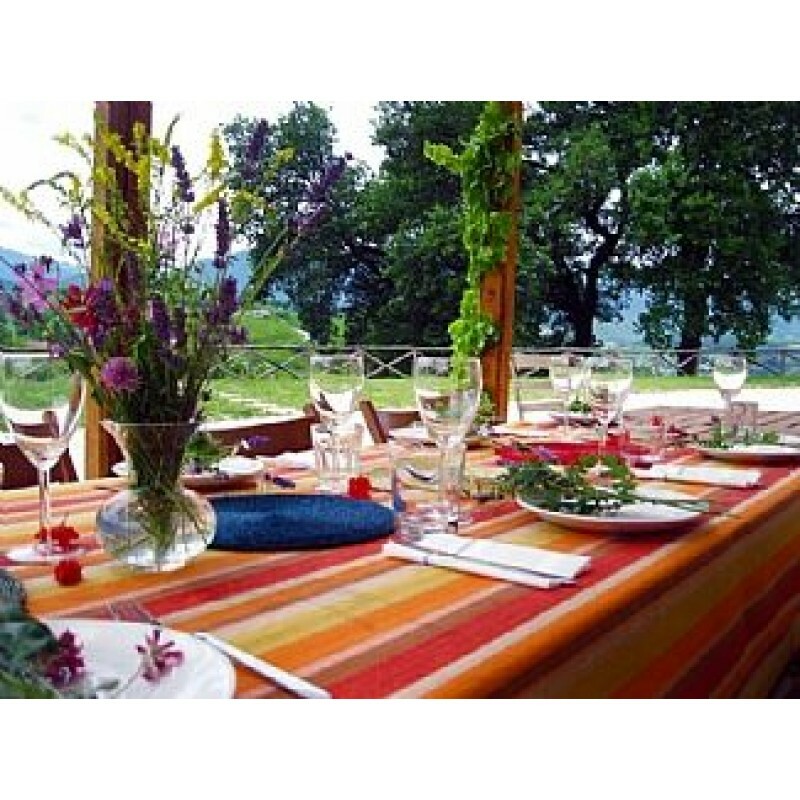 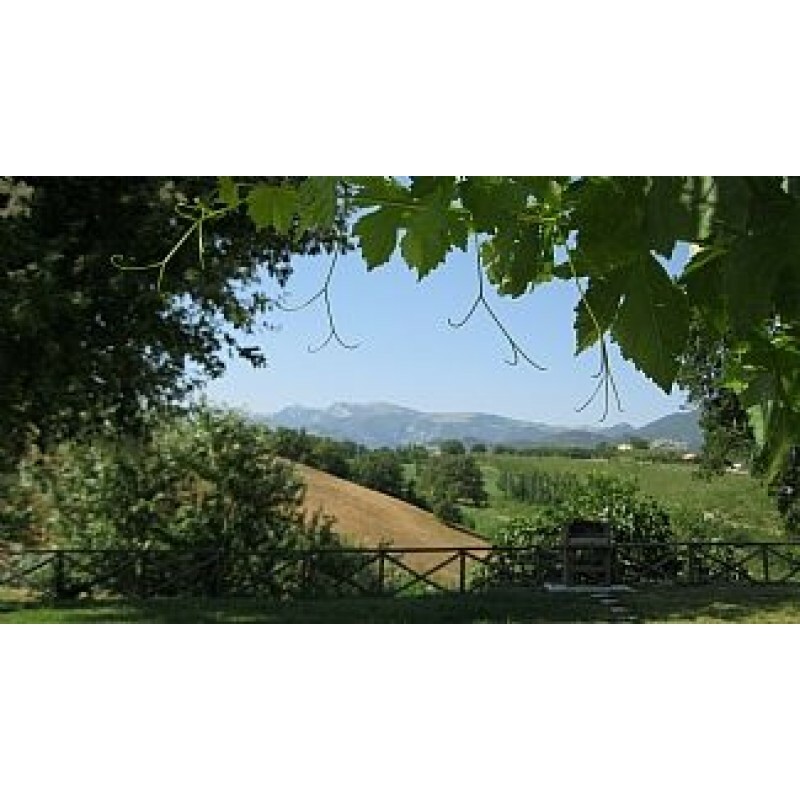 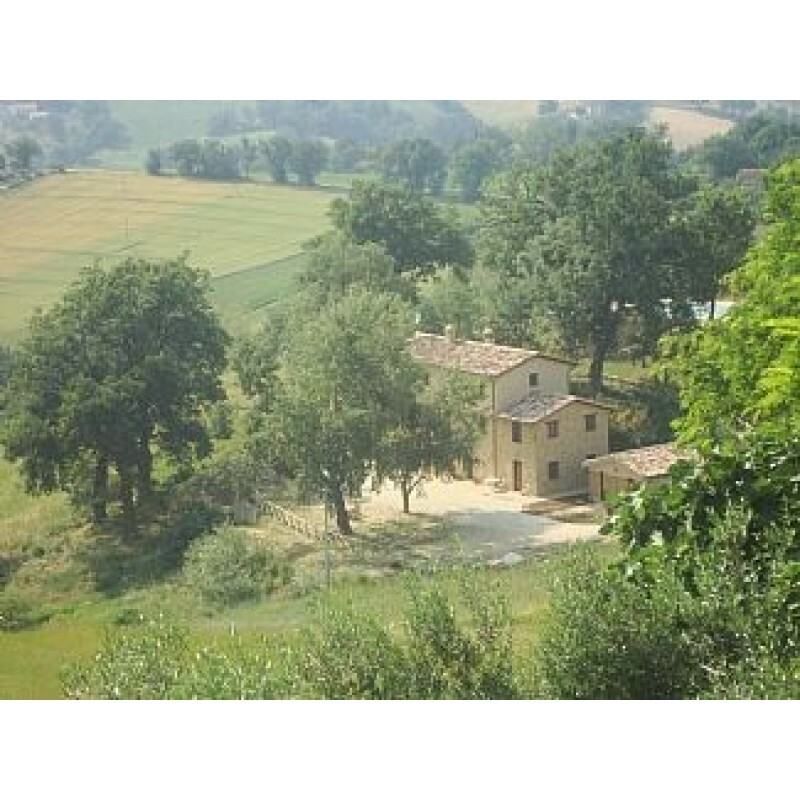 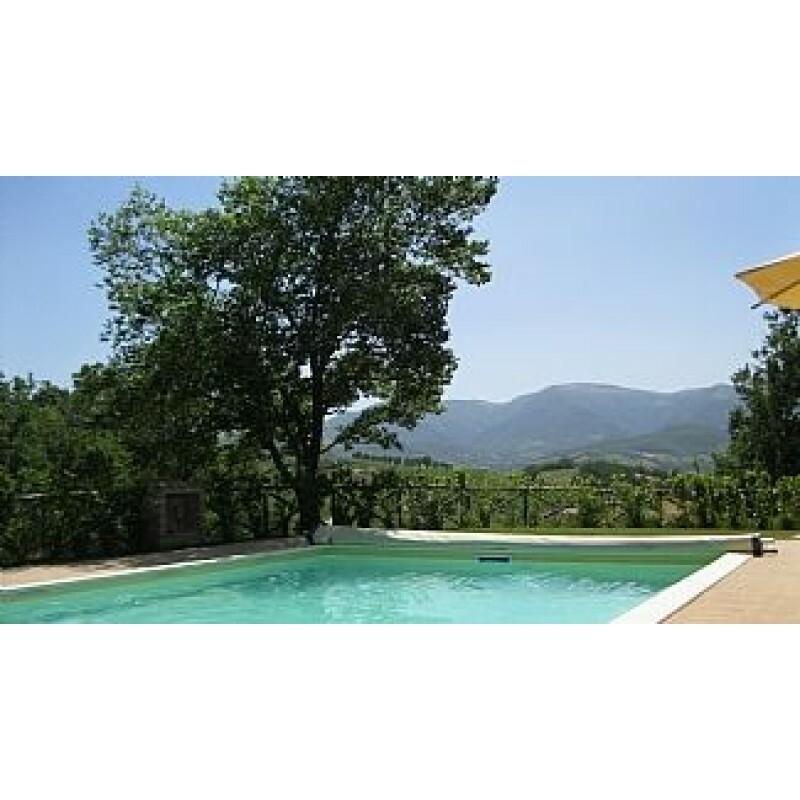 Set in its own grounds of 1.5 hectares, the villa has a completely private location yet is within a few minutes of the local village and the spectacular Sibillini Mountains National Park is on the doorstep. Bedrooms: Bedrooms 1, 3 and 4 with double bed and en-suite. Bedroom 2 with twin beds and en-suite. 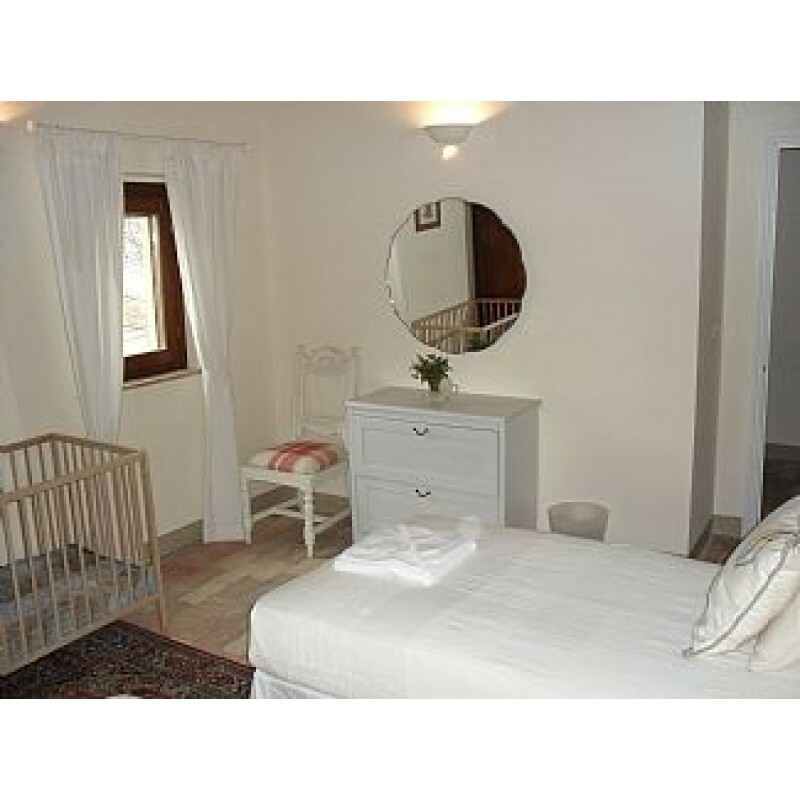 Bedroom 5 with twin beds. Bedroom 6 with single beds. 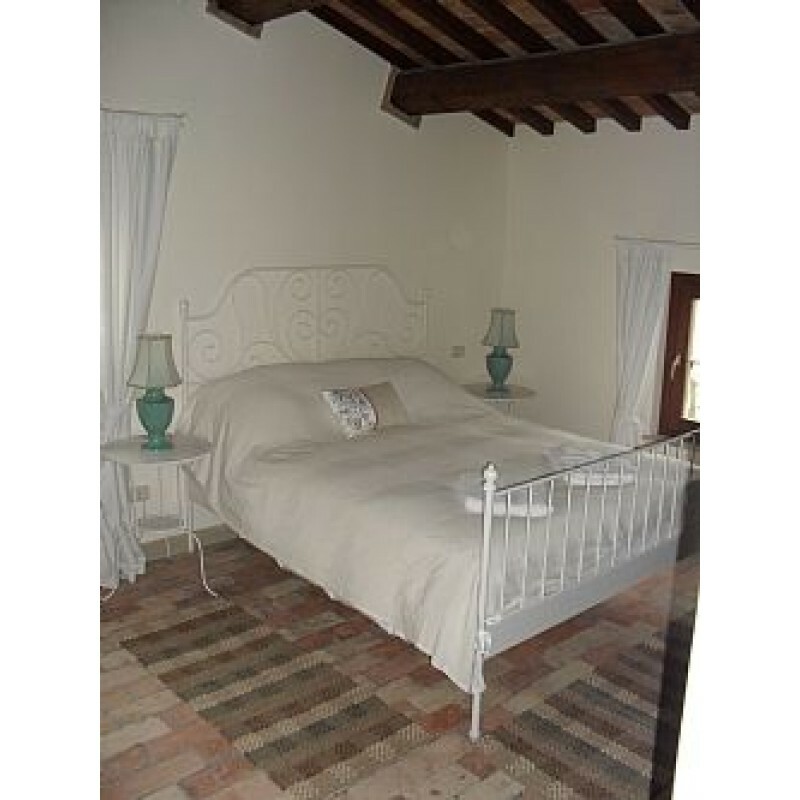 Cottage with double bed and en-suite. 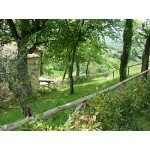 Bathrooms: En-suites 1, 2, 3 and 4 with shower, WC and bidet. 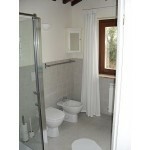 Bathroom with bath/shower over and WC. 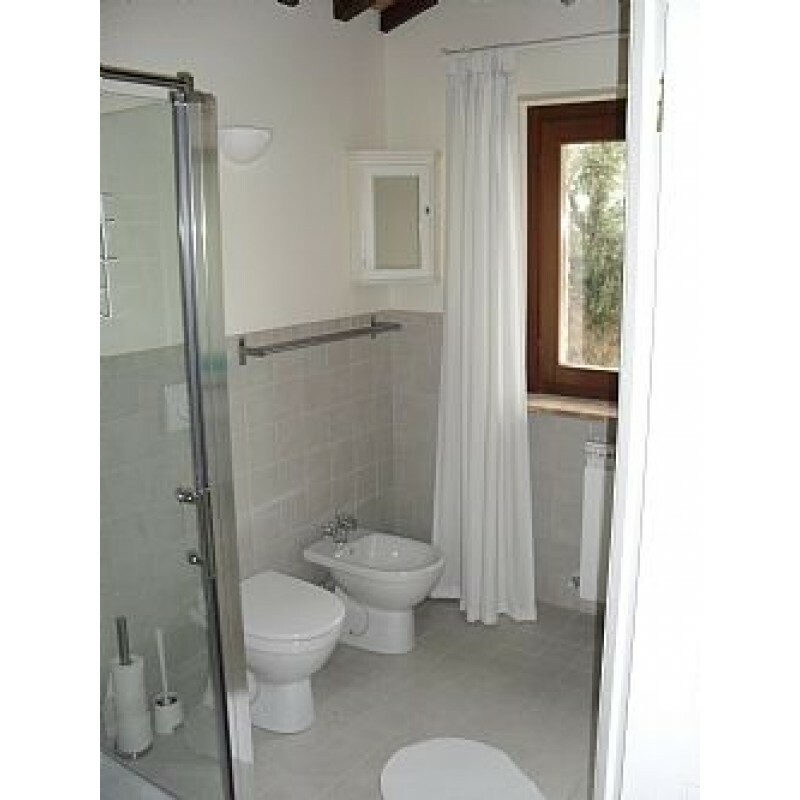 Cottage en-suite bathroom with wet room shower and WC suitable for disabled. Ground floor WC. 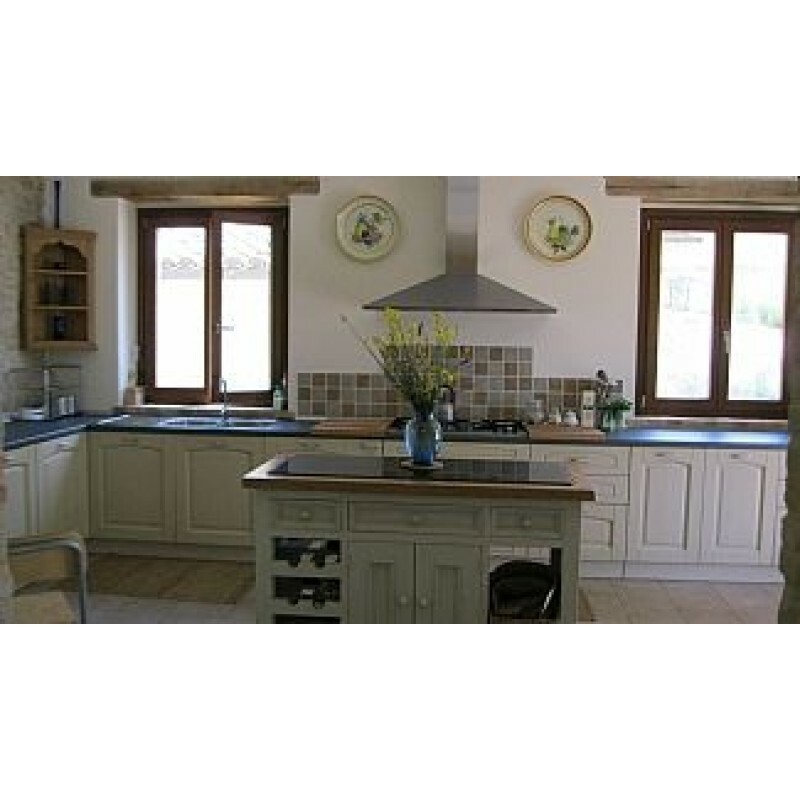 Kitchen: An attractive, large, spacious, fully equipped, modern kitchen with central island unit with black granite top , big electric oven with rotisserie, gas hob with extractor, large fridge/freezer, dish washer, microwave, ample work surfaces and storage. 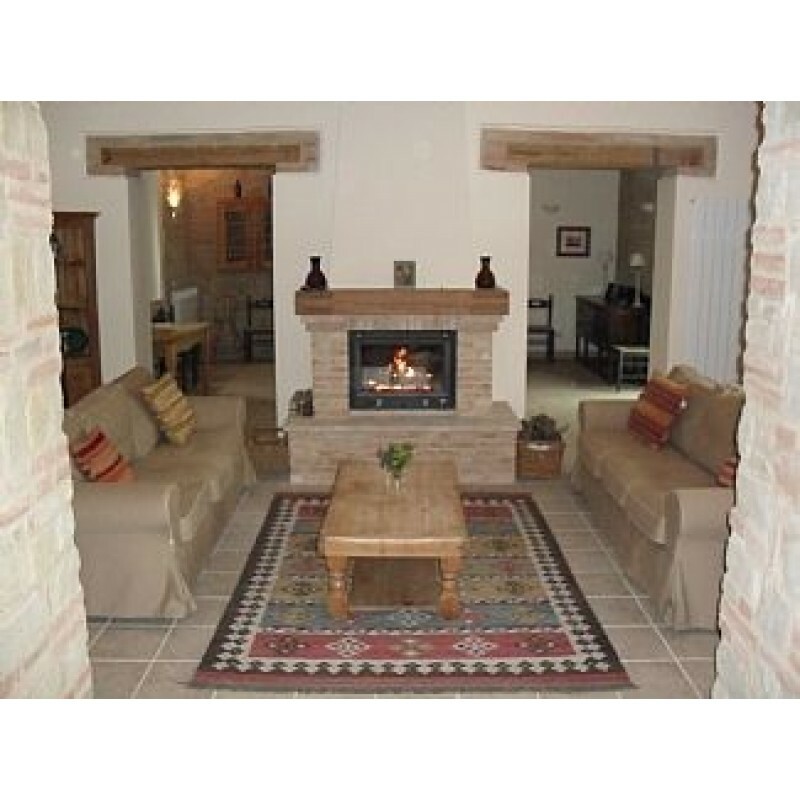 Living room: Ground floor open plan, with kitchen leading into spacious dining area for seating 14 which in turn leads into Sitting room with large attractive old brick fireplace enclosing wood burning stove, Comfortably furnished. Satellite TV and DVD player.